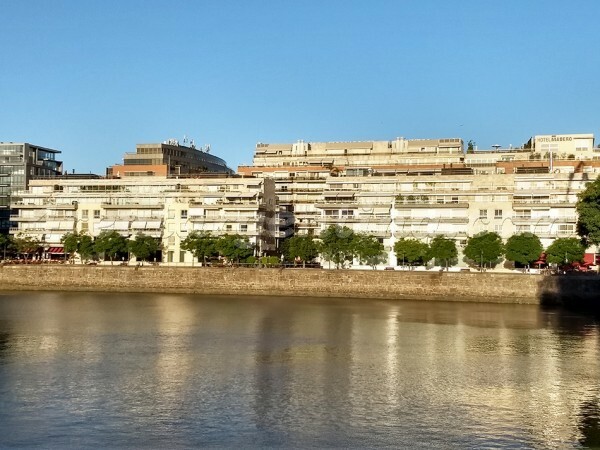 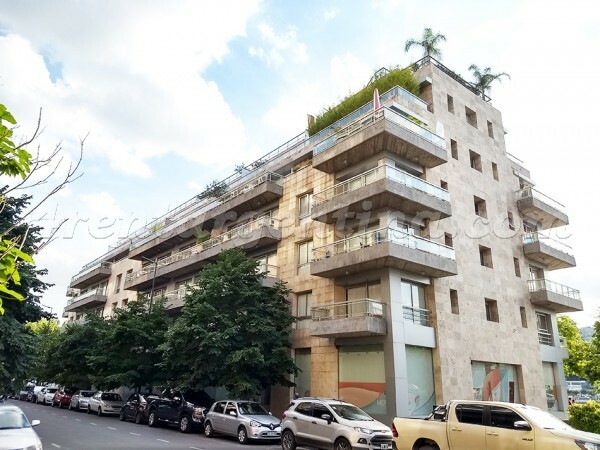 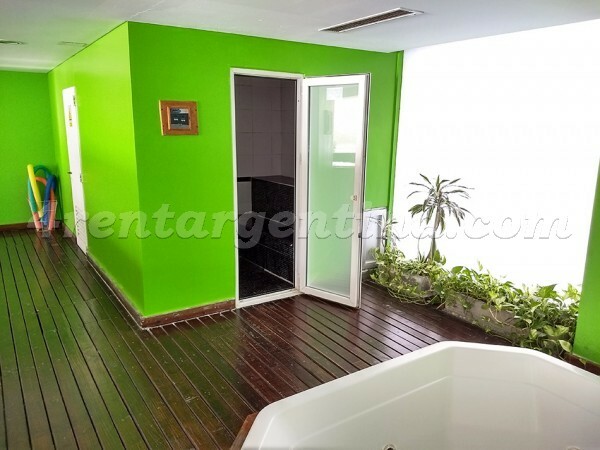 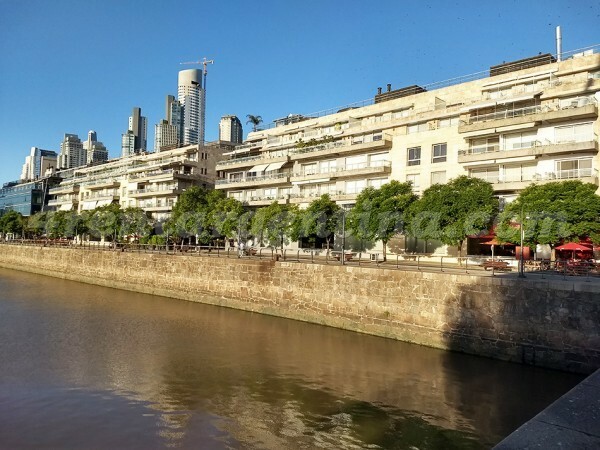 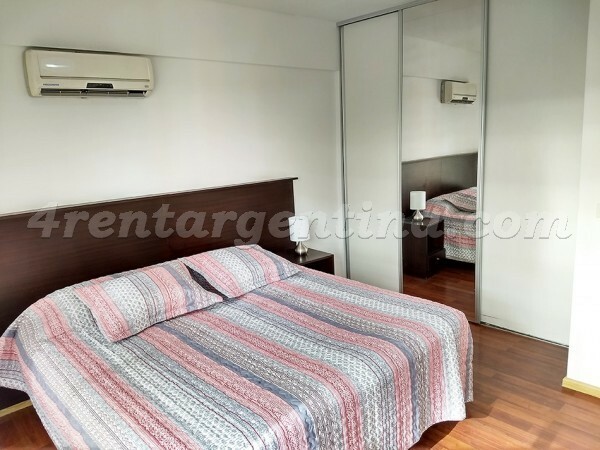 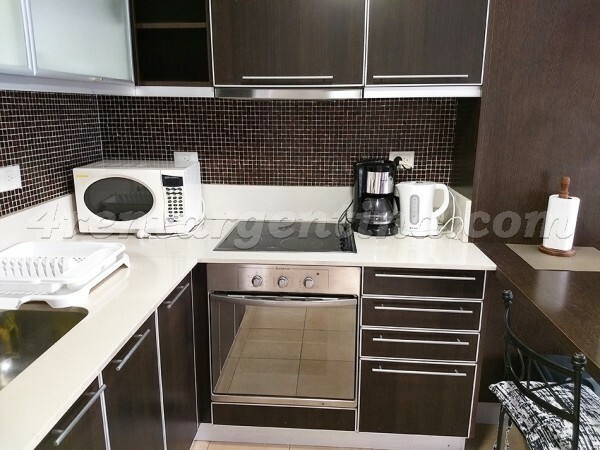 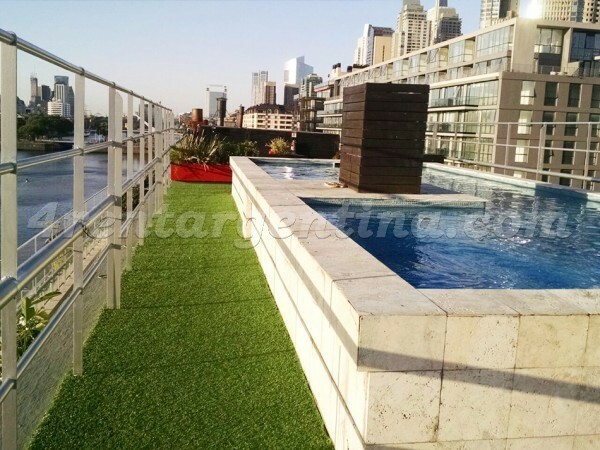 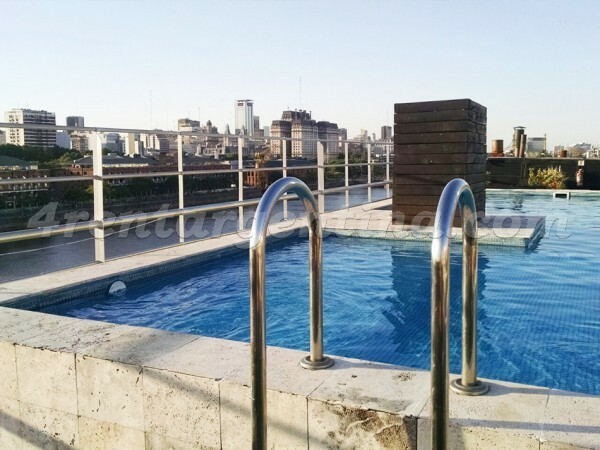 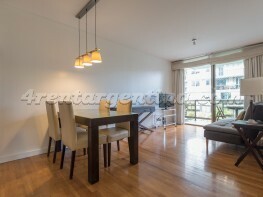 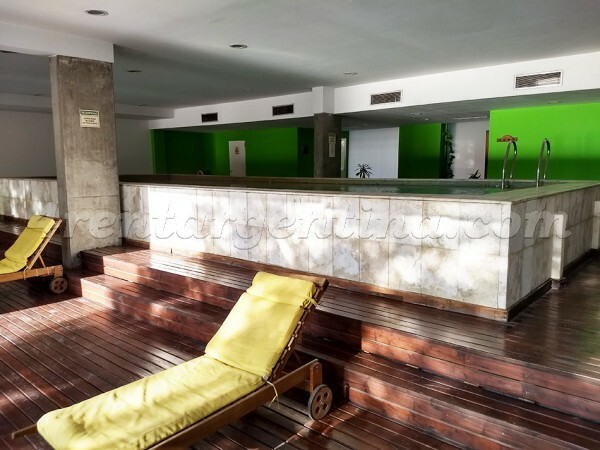 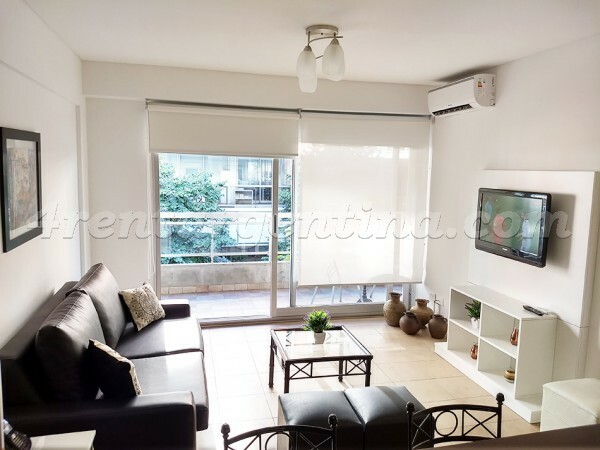 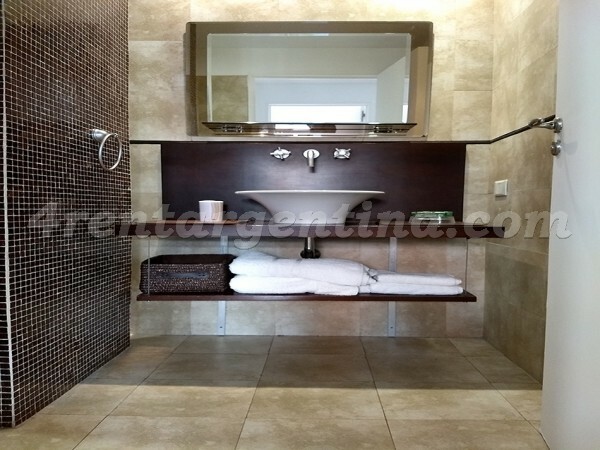 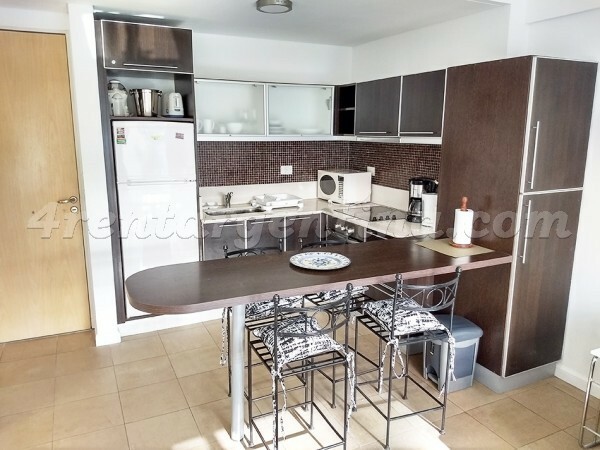 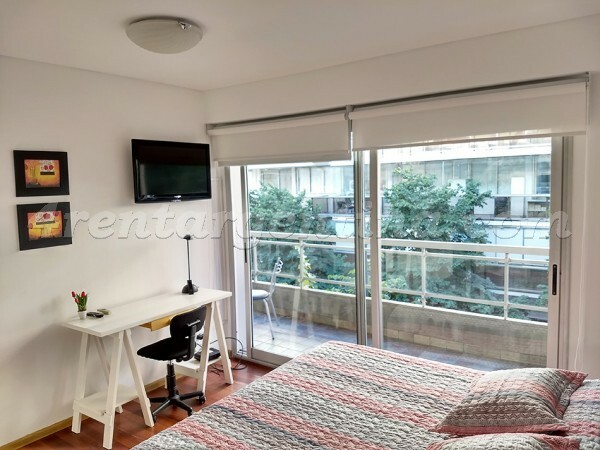 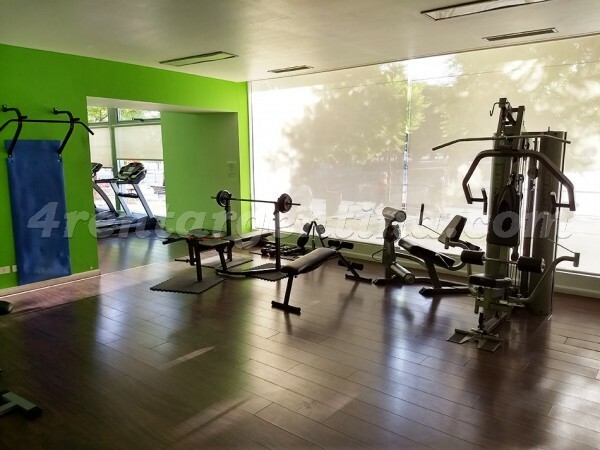 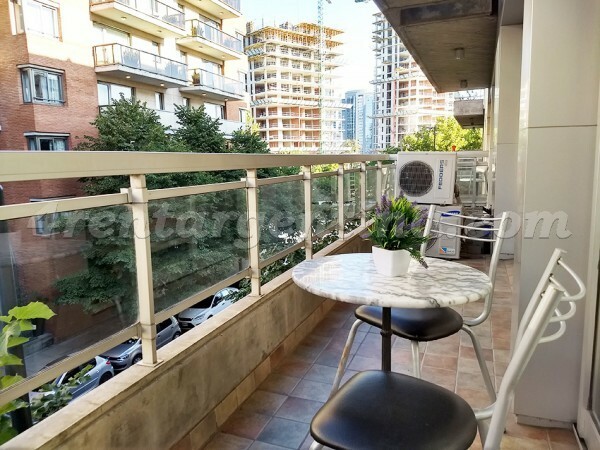 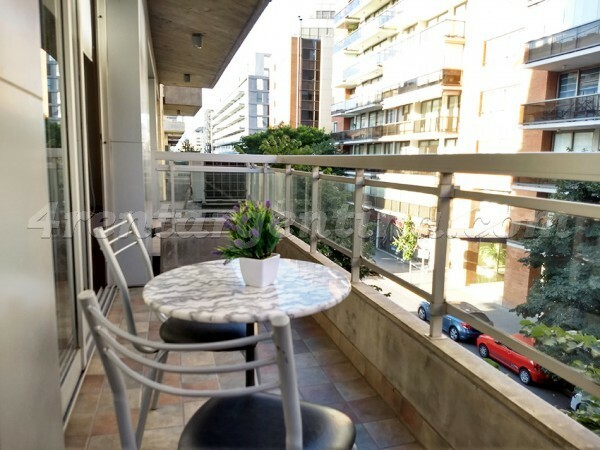 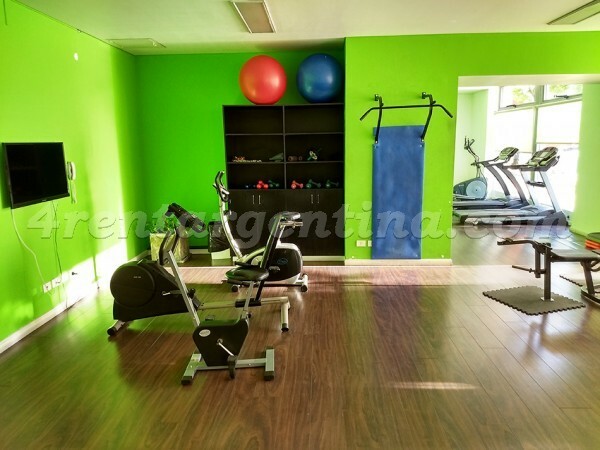 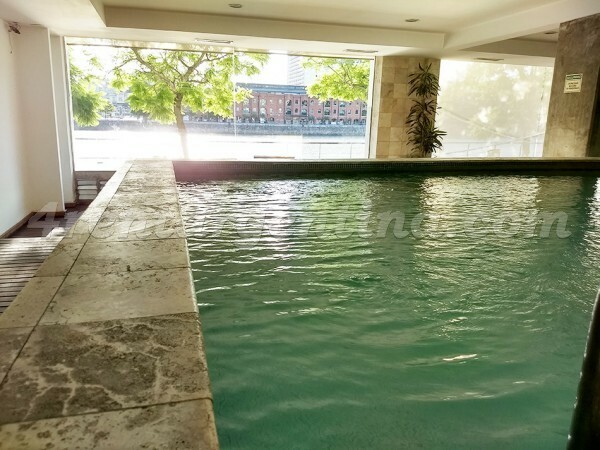 Cozy furnished apartment for temporary rent in Argentina, located in the beautiful Puerto Madero neighborhood, surrounded by restaurants, bars, discos, movie theaters and means of transportation. 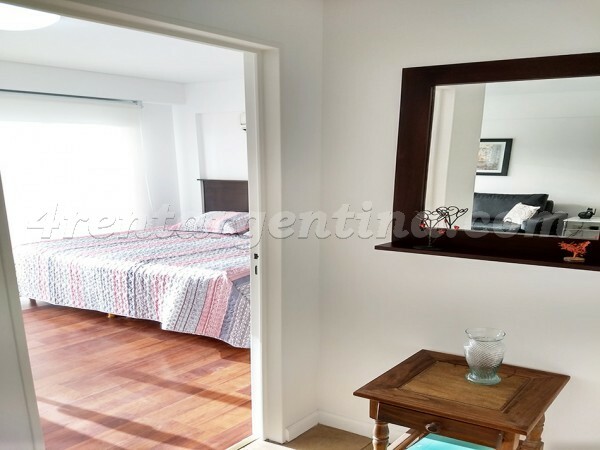 This apartment is ideal for three people, since it has a bedroom with two single beds that can be turn into a double bed and a living-room with a double sofabed. 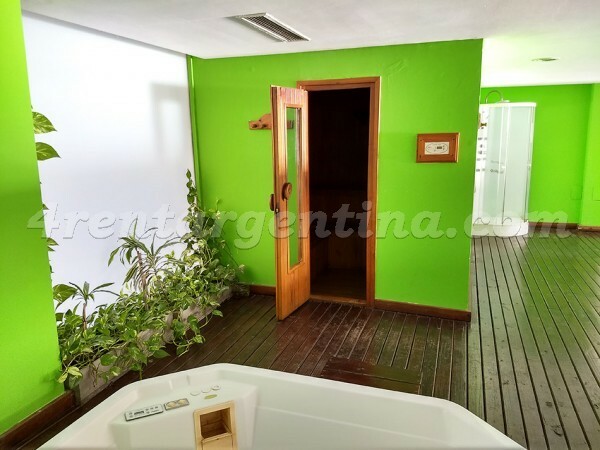 Besides, it features a fully-equipped kitchen with oven, a full bathroom with tub and a toilet, and is very luminous thanks to its balcony. 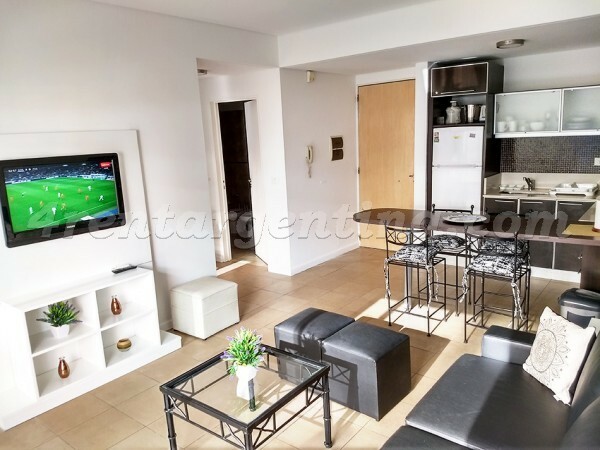 It has cable TV, air conditioning, central heating, Wi-Fi Internet connection, DVD player, security safe box and telephone. 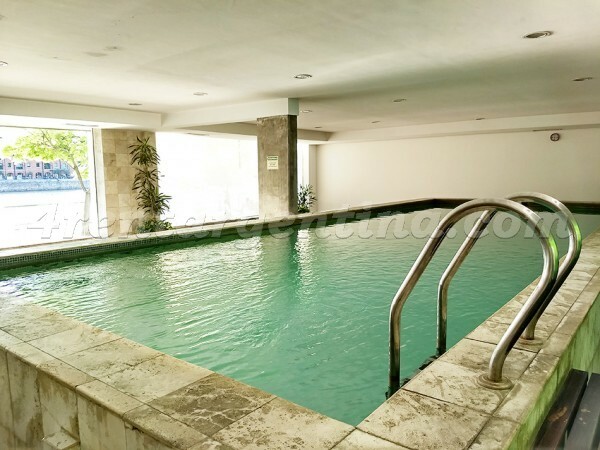 The building has a swimming-pool, a solarium, a gym, a lobby and a laundry. 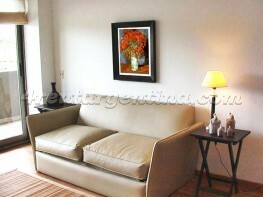 The rent includes 24-hour security service.